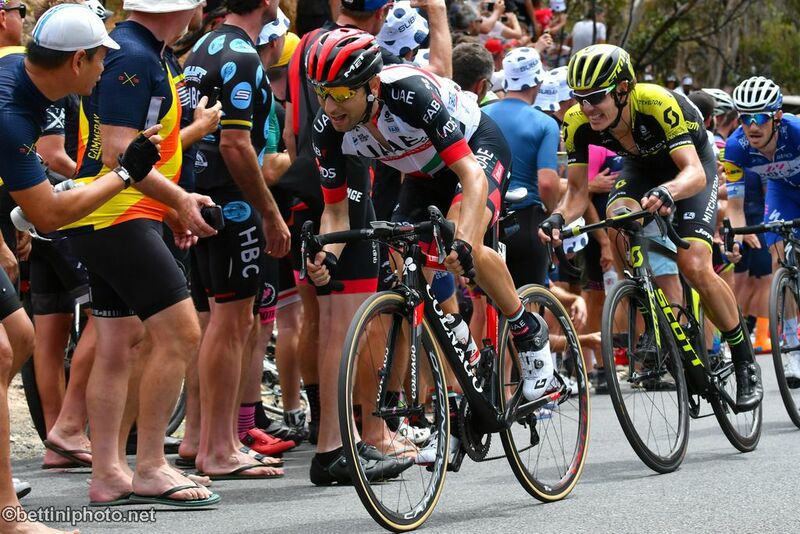 Even after the last stage in the Tour Down Under (Adelaide–Adelaide, 90 km) Diego Ulissi had no problem clinching 4th place in the general classification, 20” from the winner, Impey. Greipel won the conclusive stage in the final sprint, with Consonni placing 7th; the young sprinter from UAE Team Emirates will also return from Australia with a 4th and 5th place earned in the sprints. Although Ulissi achieved a better place in this race in 2014 (3rd position), with the good result he obtained in this year’s general classification he has confirmed his ability to remain competitive during the entire season. In October he captured the Tour of Turkey and in the Tour Down Under, the first event in 2018, he was able to get off to a good start by remaining at a high level. Ulissi, the first Italian in the overall standings, had this to say: “I’m satisfied with how I was able to perform during the entire week. The 4th place in the classification is a sign that I worked well over the winter and that my legs are already reactive. In the Tour Down Under, if you aren’t quick on your feet, it’s really hard to get good results. It was nice to work in perfect harmony with the entire team. We performed well in all the stages and we hope that this will be the start of a season that will bring memorable cycling moments to our fans and our sponsors. Now I can get back to concentrating on training, so I can be at my best for the next competitive event, the Abu Dhabi Tour“. 7 Simone Consonni (UAE Team Emirates) s.t.